As a Vermont Wedding Photographer, I love to see a bridal party that gets along with one another. I know that it may sound harsh to say this, but often this dear friends are meeting each other for the first time. In this case, the couple had a mutual group of friends and the chemistry was apparent in the photos. By creating layers and height in the wedding party photos, the images come across as more natural. The Basin Harbor Club in Vergennes, Vermont is the perfect Vermont wedding destination for the entire wedding party. The property has so many different lodging options and it allows all the party to stay on-site for the entirety of the wedding celebration. This is critical for many reasons. First, the families truly get to one another. Generally their are multiple events through a wedding weekend and many family and friends are coming from out of state. By staying together on property, they can participate in golf outings, rehearsal dinners, lake swims, afternoon cocktails, etc. This is a casual way for wedding guests to get to know one another. Second, wedding parties staying together at Basin Harbor can often share expenses of a Cabin or Home. This is especially nice for friends who have a tight budget. By crashing together, they not only have a great time but they can save some cash along the way. Third, as a Vermont wedding photographer, I am often asked to photograph some moments around the wedding day. This can be the rehearsal dinner or a follow up brunch. When guests are staying on property, it is so much easier to gather everyone for photos. This can happen before, during or after the event. Finally, the party is sensational when guests do not have to drive home that evening. 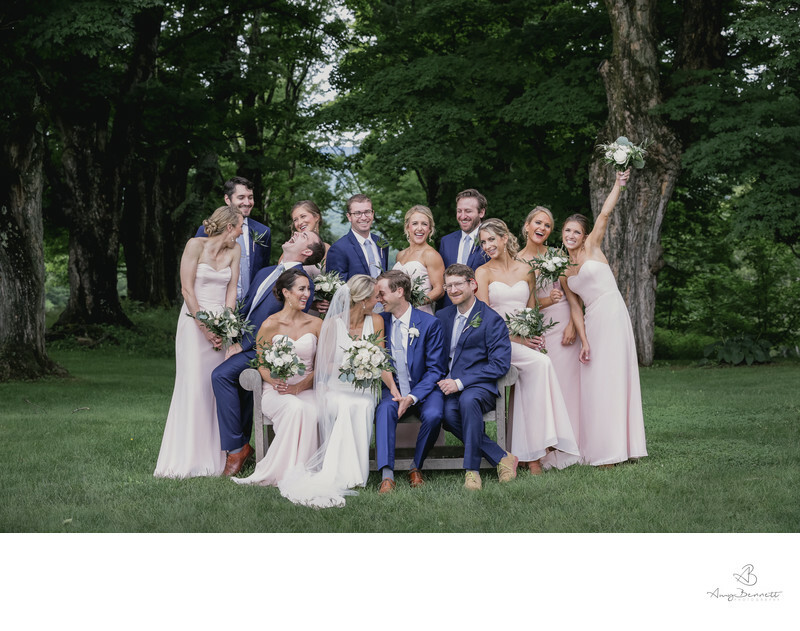 By staying on-site at the Basin Harbor Club for your Vermont wedding, you can make sure everyone has a fun and safe experience throughout the night.